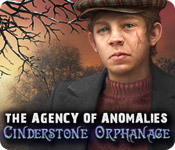 Agency of Anomalies: Cinderstone Orphanage is rated 4.2 out of 5 by 89. Rated 5 out of 5 by hermitcave from A surprisingly enjoyable game with an engaging story You are at your desk reading your newspaper when a wind blows over a bottle of ink spilling it on the paper. Suddenly, the spilled ink stain becomes an apprition that asks for your help to find out what happened to the preceptress and the children at the Cinderstone orphanage for paranormal ability. There was a fire that damaged part of the orphanage some time ago and it has been struggling to continue operation since then. The storyline and character depth were excellent with interesting character interaction that gave it a substance not often found in a game. As you investigate the orphanage, you discover pages scattered throughout that help provide the backstory through cutscenes. During your search you meet ghosts of children with different abilities that you interact with to gain their trust and by helping them find peace and these abilities are then transferred to you and help you to further your investigation. Examples of the abilities are to enlarge small things, see through walls, telekinesis, restore objects and make picture subjects real. Really quite a nice touch and useage of abilities. 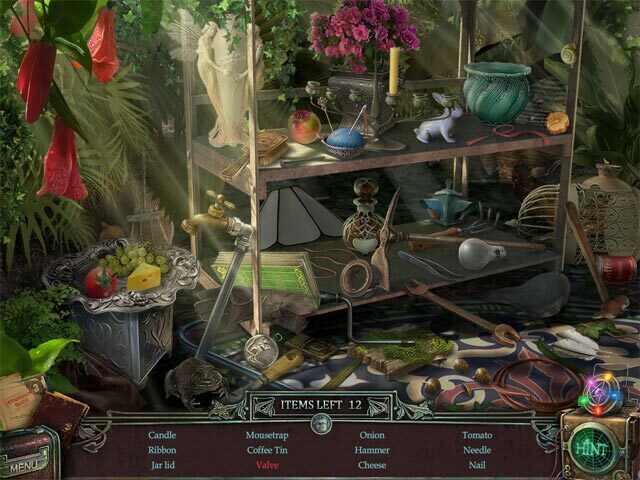 The hidden object screnes were primarily of two types: Find obects and place objects. Both were well done and the puzzles were nicely intergrated into the story and were not overly hard. The graphics were very well done giving the feeling of being in a rundown, struggling institution that had suffered a catastrophe and was barely surviving. The music was repetitive but not unpleasant and the voiceovers were well developed to the character. I have recently purchased the other three in the series and am looking forward to playing them. Rated 5 out of 5 by sporoy from good game very good, storyline also good.. Rated 5 out of 5 by asmatcollector from A MUST BUY!!! EVERYTHINGS IS EXCELLENT, the story, the graphics, the follow through, i loved every minute of it. I recommend this game which kept me entertained from beginning to end with curiosity, satisfaction in solving the many twists and turns, and never boring for 1 minute. It is so exciting when one finds a super game to play and, even there were supernatural factors here, they still allowed the plot to be convincing thus retaining my interest in solving it: I don't like when things are too off the wall, too unrealistic, too unbelievable as it makes me lose my desire to solve a plot that I cannot relate to. tHIS WAS PERFECT and I will play it again with pleasure, good graphics too, everything was good! it was fun! Rated 5 out of 5 by pennmom36 from An Orphanage For Children With Paranormal Abilities! An explosion at the Cinderstone Orphanage on Christmas Eve. needs the special investigative skills that only the Agency of Anomalies can provide. These children aren't just orphans, they are children with fantastic abilities, paranormal abilities! The founder of the orphanage has a special ability as well, she can change the size of any object, but she and the children have vanished! When you arrive at the orphanage you soon find out that the residents are trapped between this world and the world beyond. Could the device designed to enhance paranormal activity be responsible? Not only do you have to find and fix parts blown away by the explosion, but you learn that the paranormal abilities are linked to earthly possessions which are also scattered about by the explosion. Once you find an individual's favorite earthly possessions such as musical instruments or books, that person will give you their ability or power to "see" through walls or enlarge a useful item. 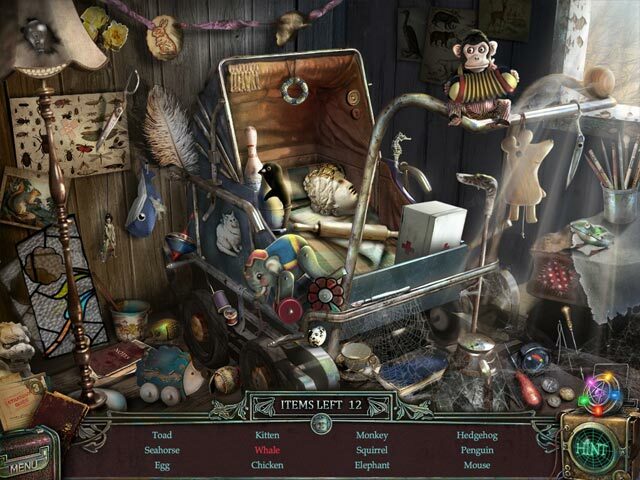 The hidden object scenes are mostly interactive list finds with a riddle to solve and find for the last item. There are also scenes where you have to put items from the inventory back into a scene such as placing a third Teddy Bear with the other two already in the scene. There are some really good mini games. 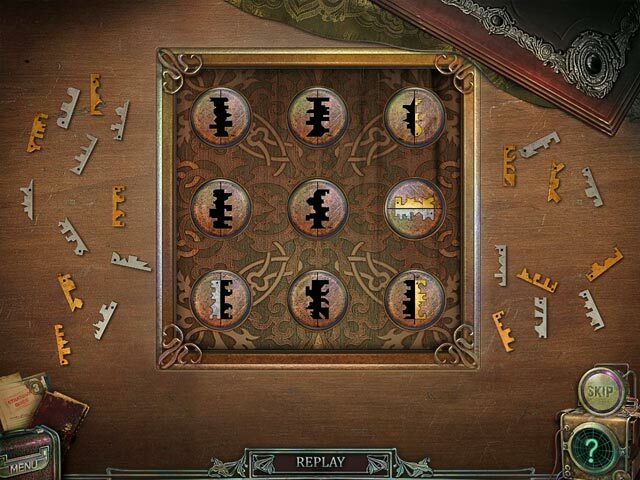 The one I enjoyed the most was several keyholes that required you to place a silver key shape on the left and a gold key shape on the right to match the shape of the keyhole, and there were more key shapes than needed. The only complaint I have is with the fact that there is no map and you had to either remember what and where the rooms were or use the hint button which would only say nothing to do here. However, there might be a map feature in the CE version. Did anybody else notice that all of the other games in this series, including the CE, are listed as "The Agency of Anomalies", and this one is listed under the a's. simply "Agency of Anomalies?" Anyway this is an excellent game, enjoy! Rated 5 out of 5 by bulbulg4u from Its a nice Game . . . Its a nice game with beautiful graphics & long file must play is . . . Rated 5 out of 5 by Billybadass4018 from Overall a great game! The really cool thing about this game is you collect special powers that help you progress through the game. The characters were all unique and interesting. I absolutely loved the ending. The bonus content revealed a little more to the story but not necessary to the understanding of the story. I loved the collectible teddy bear cards. The artwork was beautiful and I even enjoyed the background music. Some of the puzzles were challenging and the HOS were not all that easy either. I liked how they incorporated two different types of HOS. In one type you have to find objects to receive a useful tool and in the other you have place objects that you've found from other HOS in their correct spot. Overall it's a very fun game and definitely worth the buy. Rated 5 out of 5 by Dirtfroggy from Mini Games were fantastic Loved this game, fishies! I am not much for hidden object games but the ones in this game were really fun. Some were regular HO games but you had to empty something or unlock something etc to find a few of the words. There were also the interactive ones where you had to put the missing object back into the scene. Loved the storyline. and the mini games were wonderful. Some I have never seen before. I wish there was an interactive map where you could hop from place to place because there was a lot of backtracking. Also, once you save the children they give you their paranormal ability to use in the solving of their disappearances. Pretty cool idea! Better than the first Agency of Anomalies! Rated 5 out of 5 by mlw14 from Loved this game! One of the Best! Great game! Not to dark themed. Beautiful calming music. Beautiful scenery and great location changes. Interesting game that keeps you wanting to play it. Puzzles were good and varied. Worth playing! Rated 5 out of 5 by neilskinut from Good and easy One of the better voice overs and graphics is great. HOG are pretty easy and the puzzles are not hard either. Different HO screens which makes it different. Fast hint button if you need it. Good game.